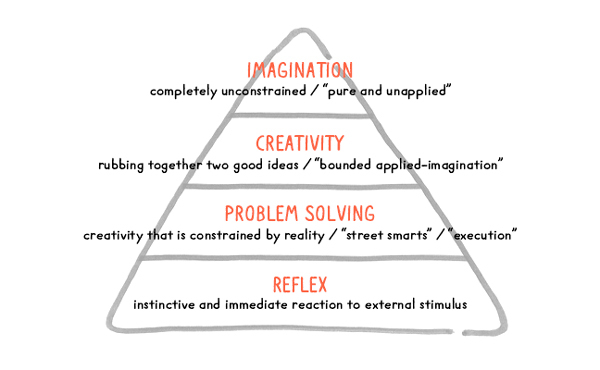 The Hierarchy of Imagination above was designed for the creative leadership world, and aimed to encourage business leaders like CEOs and managers to develop and use their imagination and creativity more at work. 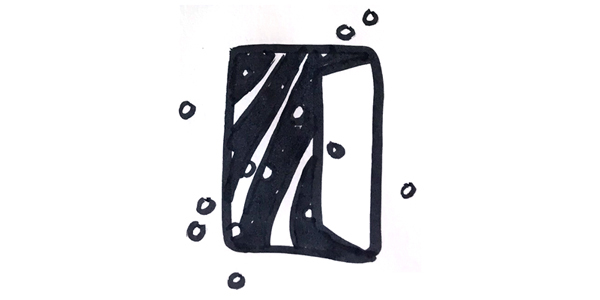 But the chart spoke to me about creativity in art making, and the themes I talk about in finding our artistic styles and digging deep to make our most original art. It also reminds me of my belief that most people approach learning to draw the wrong way. Brennan believes you can’t directly teach someone how to be creative, but that creativity can be cultivated, and you can encourage imagination in people. 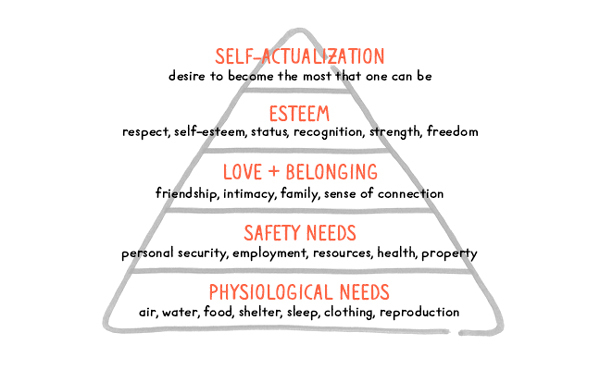 In the Hierarchy of Needs (seen below), Maslow believes people are motivated by certain needs depending on which needs have or have not been met. 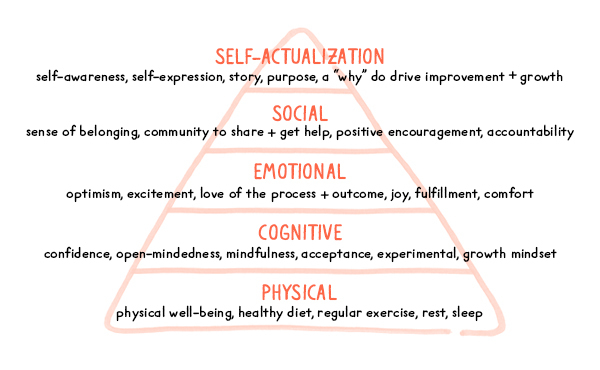 For example, physiological needs are at the bottom of the pyramid. Food and water motivates us first. But if that need is filled, we move on, and are motivated by the next need, and so on. In other words, you have to fulfill the need to feel comfortable and safe, before you can think imaginatively. You have to feel safe before you can take risks and experiment, and not be afraid to fail. You have to feel comfortable so you can allow yourself to play and explore. And those things—thinking imaginatively, experimenting, not being afraid to fail, playing, and exploring—are what lead us to discover our artistic style and find the art that feels like us. These two hierarchies don’t directly translate to the creative process, though. You can’t begin a piece of original art with a “problem solver” approach. Getting stuck in the problem solving block while art making is like wearing horse blinders, giving creativity blind spots. We get hooked on the processes, the steps, the how-to tutorials, and the final outcome, but we don’t end up with a piece of art that feels like our own. It’s more beneficial to start each drawing by taking risks, doing things in new and innovative ways, and experimenting with different variations and ideas. Trying and failing, trying and failing, being open to all the possibilities until something shines through. We have to take risks and make art in your own way, instead of relying on other people’s steps and processes if we want to make art in our own artistic style. 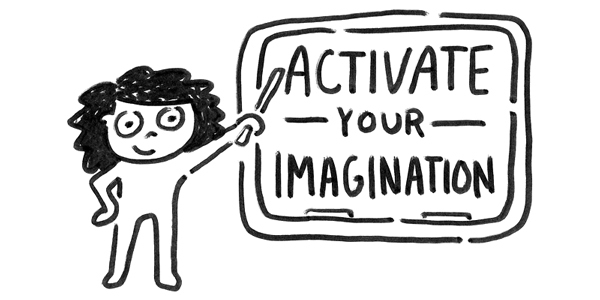 We have to learn how to activate our own imagination. But how do we learn imagination? You can easily teach someone to draw a dog the way you draw a dog, but how do you teach someone to find the way they draw a dog? Most people skip this entire hierarchy. They want to learn to draw so they (and teachers) begin with what they call the drawing fundamentals: shading, perspective, 3-d shapes, facial proportions, anatomy, etc. They start with the technical skills and manual steps and repeatable processes. They begin in problem-solver mode. But I think those technical skills are at the top of this hierarchy, under “improvement + growth”. And I don’t think you can be all that successful in that area until you’ve satisfied the needs below it. 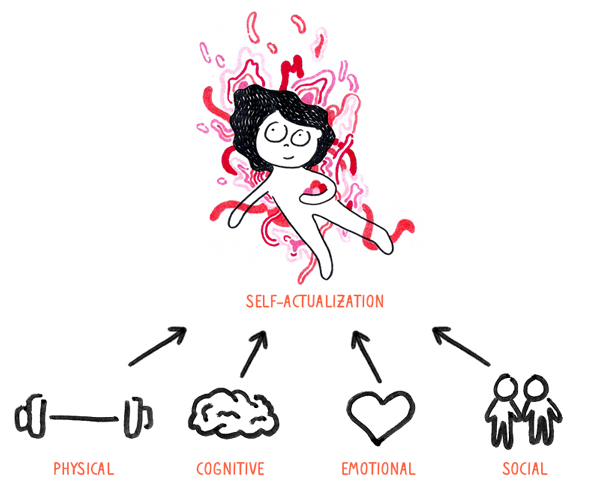 To get there, to be able to draw in the way you want to draw and develop those technical skills, you first need to satisfy your physical, cognitive, emotional, and social needs. Satisfying those needs first will get you to the Self-Actualization stage and give you your sense of self-awareness, your purpose, and your “why” that will drive you to continue to improve and grow. That drive is your fuel to be able to truly develop a drawing habit and put in the 10,000 hours to become a master. ​Without a drive or a purpose, how can we ever expect to do 10,000 hours of anything? And without self-awareness, how can we expect to become masters of ​our​ art, and not just masters of rendering 3-d cones or copying other people’s styles? We can only begin to reach the fulfillment of our skills and potential if we have the drive to put in the hard work to get there. And to get that drive, you gotta satisfy the true fundamental needs of artistic style first. If we agree that the fundamentals of artistic style aren’t actually drawing 3-d cones and facial proportions, and we agree that they’re the physical, cognitive, emotional, and social needs above… then how do we satisfy those needs to get to the top? My answer is what my answer always is: by drawing consistently in your sketchbook. Your sketchbook can and will put you on the path to satisfying all these creativity needs. It won’t do it automatically for you—you have to put in the time, work, and effort—but your sketchbook is the method and the platform that will carry you through your artistic life, and constantly push you forward. A sketchbook practice requires you to take care of yourself to make the time for it, it inspires confidence and experimentation, it creates a love of process and comfort with drawing, it can open up communities of other artists, it allows you self-expression, and it will help you find your purpose and “why. Both this hierarchy, and our sketchbooks, will be ongoing projects throughout our artistic lives. You don’t make it to the top of the pyramid and retire. When you get to the top, the real work begins. That’s when you begin to make your art. The art that feels like you. Your sketchbook can help you develop a drive that will take you way higher than rendering 3-d cones and anatomically-correct facial proportions. It will teach you your “why”, help you discover your artistic style, and activate your imagination. And your imagination will take you higher than you ever thought possible. Discover Your Artistic Style in a Sketchbook! If you’re interested in this concept of growth and exploration, get your booty on the wait list for the reopening of my FREE flagship mini-course, Discover Your Artistic Style in a Sketchbook. Join the wait list now! This had me standing up and applauding the whole way through. Thank you. Great article! I was wondering if you had any trick to “unlearn” the problem solving mania? Like: how do you stop starting every drawing with perfect proportions so that you can discover if, maybe, your style is just more cartoony or something? If I’m reading this correctly, it could be summarized as ‘start drawing before you know how to draw’. I’m not disagreeing, it just seems counterintuitive. Given that I’ve been stuck halfway through a paint-by-numbers project for over a year because I’m paralyzed by the dread of doing it wrong, I am aware that my intuitive approach has its drawbacks. By way of context, I drew a lot in elementary school until I got to middle school and found out that I didn’t, in fact, know how. I’ve been trying to get back ever since. Hi Robert! Yep, you’re reading it correctly! I do believe people should start drawing before studying anatomy and perspective and the technical aspects of drawing. It’s definitely a “belief” so it’s not a hard rule, but I do strongly believe in it. You even highlighted what I would call evidence for my POV: that you’re stuck in your project because you dread doing it wrong. You see? I think first we have to learn to open up and feel free and confident enough to draw on our own, and feel comfortable drawing before we can start making the art that feels like our own. If all a person wants to ever achieve is to draw “perfect” perspective and realistic portraits, then by all means, start with the technical aspects. But if we want to create original, unique, art in our own style, then I think we have to start out a different way. We have to believe in different ways of drawing, and embrace the ways of drawing that come naturally to us, realizing that there is no “right way to draw”. I don’t believe in “not knowing how to draw”. If you can move a pen across the page—you’re drawing.